I know, another book review and none of my usual wit and original material. Bear with me, I’ve been doing a lot of reading lately to make up for the fact I’m back at work. Christmas holidays are always too short. I like gritty, unless we are talking sandwiches. The crime noir genre really is all about gritty and Parker is the quintessential character embodying this. Once again I’m late to the bandwagon. Clearly Australia doesn’t have enough German and Japanese influences to have clear bandwagon schedules. Or maybe it is just me, but I prefer to blame others for my failings, like many great men before me. There was a point here about being late…. 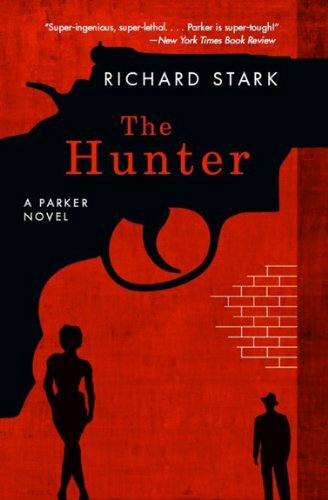 Oh yes, Richard Stark – aka Donald Westlake – and his Parker character are not new entities, thus my reading of my first Parker novel is probably well overdue. The reason I came to this series was two-fold. The first was I had recently watched the director’s cut of Mel Gibson’s Payback. The director’s cut was much more faithful to the source material than the original version, despite being made more friendly to a wider audience. The second reason was that I have also been reading a lot of Ed Brubaker’s graphic novels, such as Criminal. At the back of each edition of Criminal there are essays on crime movies and books that started and were highlights of the genre. The Parker series caught my attention for this reason. Needless to say, I can’t argue with history, this is a good book. Actually I could argue with history, as it is generally perspective based rather than objectively measured, but that is just the science nerd in me, rearing its ugly head. In my perspective though, the Parker series is well worth getting into.